In a live surrounding, many guitar players often find themselves too confined by the very physical limitation of having just two hands and one instrument. What difference does a number of footswitches make? Should I watch out for loop length? Should I watch out for loop storage? What’s the difference between mono and stereo loopers? Do I really need the loop effects? Do any famous musicians use a looper? How much money should I spend on a good loop pedal? Do I need to get any accessories with a loop pedal? Sure, having a rhythm player or a bassist is awesome, but it’s difficult to place the exact musical idea you have into their brains instantaneously during gigs. And while you can improvise with your band and bring that special kind of magic, a looper pedal is an essential guitar effect device that will allow you to express your own stuff just the way you imagined it. Anyhow, “What is a loop pedal for guitar?”, you ask. Well, a looper is essentially a device that records a desired segment of your performance and then puts it on a loop. But that’s not where things end because you can put additional effects to that original recording, such as pitch adjustments, speed adjustments, and more. Balanced performance with stereo recording and a broadened spectrum of control options. Great model that delivers lengthy recording time in both stereo and mono. Looper designed for those who like to make adjustments on the go. Basic, but rather capable looper pedal packed in a compact form factor. Feature packed model that is also easy to use and also capable. Solid core performance for those looking for simplicity and reliability of use. An affordable looper that brings advanced functionality and control to budget crowd. No-nonsense unit with a very spartan layout that brings strong core performance. 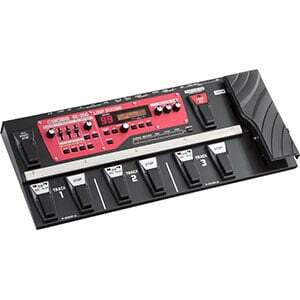 One of DigiTech's strongest loopers, Jam Man offers a lot of versatility. Top of the line looper unit that is yet to be dethroned. Boss definitely stand out as one of the ultimate stomp-box masters, and of course have a strong contender within the loop realm (two of them actually, but more on that later). Their RC 3 loop station offers stereo recording, along with a string of advanced functions such as a rhythm option and a tap tempo feature. In our opinion, this is the pedal that covers the loop needs of at least 95% of players, while packing a sturdy Boss build and a fair price. If you’re in pursuit of the same audio quality, but without the advanced features and with a more affordable price tag, do check out the RC-1 model below. Surprisingly affordable, the Nux Loop Core offers many of the sonic qualities of the Boss RC-3, but packs a significantly lower price tag. It offers up to 6 hours of mono and stereo recording, 99 user memories, multi-layering abilities, tempo changes, the whole nine yards! One thing where the Nux is inferior to the Boss are the drum sounds, which sound a tad weak and too artificial for our taste. For the listed price, though, you are still getting a killer deal, so if those loop drums aren’t a priority, this device is a solid option for sure. If you like your looper pedal concise, precise, basic, yet highly effective, we believe that Guitar Ditto from TC Electronic is a valid choice. Offering 5 minutes of loop time with unlimited edits, this true bypass mono pedal features a minimalistic design with just one control knob. But that knob is all many players need, making the Ditto a perfect choice for players who don’t like to deal with infinite adjustments and just get to thick of it right away. In the aesthetic department, this is one gorgeous item, and we absolutely love the grainy gray finish. A good bang for the buck! The gizmo presents the user with up to 10 minutes of looping with unlimited overdubs and an undo/redo function. We’re looking at a true bypass pedal with the ability to import and export music from and to your PC. The looks are classy, the sound is solid, the price is affordable – what more can you ask for? Returning to the advanced domain, the 720 Stereo Looper from Electro Harmonix is the perfect mixture of advanced functionalities and ease of use. This pedal offers a high-quality basic loop function and mixes it up nothing but useful land practical extra features such as the Reverse button or the 1/2 option. What we found as particularly awesome about this fella is the ease of use. Sure, it’s packed with a chunk of various functions, but the manufacturer made sure that each of those features is always just a click or two away. For example, the foot controller input allows you to use the popular three-button foot controllers in order to change a bank up or down, as well as secure an instant undo/redo option. The JamMan Express XT from Digitech is a top-notch option for players who are looking for a stereo looper that retains just the effect’s basic functionalities. So apart from two pairs of input and output jacks, the device offers up to 10 minutes of stereo recording time, with unlimited overdubs plus undo and redo functions. This is a true bypass pedal with a 24-bit 44.1kHz sample rate. Although Digitech carries a reputation of crafting plastic pedals, this one is made from full-on metal, offering top-level durability and reliability. Only one control knob is included in the mix, and it’s all you need if you ask us! For the experimental bunch, Vox created an affordable device that allows you to combine the looper with a variety of classic guitar effects. These include anything from distortion, crunch and delay effect to more exotic stuff such as chorus and phaser. When it comes to solid quality, we can’t sing too many praises, but we can most definitely say that the VLL1 has an acceptable sonic attack and offers a strong punch for the listed price. As a matter of fact, this is an item we would highly recommend to beginners as a great way to delve into the intricate realm of guitar effects. Despite the vast number of effects in store, the pedal remains easy to use, and for that we salute the manufacturer. If you like your pedals really, really compact and concise, Moozikpro’s looper is the deal for you! Coming with a super compact size of 5.7 x 2.8 x 3.7 inches and a light weight of 11.7 ounces, this pedal offers all the sonic capabilities of the majority of the listed pedals at a fair price and even includes a free pair of small patch cables. Despite the small size, the item is durable and reliable, and even comes with a pretty purple-to-gray finish. In the controls segment, we are looking at a single Level knob and a classic on/off switch. Hailed as the best looper from Digitech, the Jam Man Stereo packs a set of four heavy duty footswitches to the mix and makes the whole procedure significantly simpler and more convenient for the player. The device can store over 35 minutes of stereo sound or extend that database to a whopping 16 hours figure via optional SDHC card. The device allows you to record rhythm loops and solo over them on the go, which is a great convenience for constantly-touring musicians these days. A vast array of extra switches and buttons has also been included in the mix, and we kindly invite you to check the full review for extra details! Finally, if you want to get REALLY serious about the whole looping business, we say that not a lot (if any) products can beat the mighty RC-300 Loop Station from Boss! Loaded with three stereo tracks with dedicated footswitches, this puppy allows you to genuinely create a backing band for yourself. It includes an on-board expression pedal to control the effects in real time, as well as the ability to record up to three whole hours footage and store it on 99 onboard memories. The number of options and tweaks here truly seems limitless and we recommend proceeding to the full review if you’re interested in more details. Is this the best option? If you’re really into looping, it most definitely is! Overall, this pedal is popular mostly among live performers, as all of these effects can be easily attained in a studio environment. Anyhow, we took the liberty of sifting through today’s market in an attempt to find the best guitar looper out there. We took a fair portion of these bad boys out for a spin, and can confidently say that each of the fellas listed abovr are worthy of that flattering title within their respective price range. And that about wraps up our rundown! We would not like to dive into a variety of extra tips, tricks and open discussions on things you should know when purchasing one of these puppies. If you’re still uncertain about which looper to buy – and whether you need a looper in the first place – read on! Much like any pedal, loopers have their own string of objective factors to watch out for. While we realize that each of our lovely readers have their personal preferences, a certain string of criteria can be drawn on what makes a good loop pedal. First and foremost, the recorded sound needs to be authentic and organic. Any sort of poor rendering or sonic interference are instant red flag raisers for us, and we strongly discarded each and every item we encountered that couldn’t match this basic demand. But then, we reach the point where a question needs to be asked: “Do you need more?” Are you satisfied with just the basic look function – which is quite alright in our book – or are you after some extra options. For example, a tap tempo feature is something many users seek, as well as a rhythm function. Further on up the road, you can such nifty details as various pitch changers, a Reverse button, and more. But never allow yourself to get carried away with all the extra perks, because the quality of the basic loop audio output is the absolute crucial matter here. Apart from that, some of the usual criteria apply – sturdy construction, reliability of electric circuits and pedal in general, value for money, and some pretty looks on the side if possible. Note that while sifting through the market, we took each of the listed factors into the equation while keeping the sound quality on top. A great difference! More footswitches means more control. There’s a variety of functions that switches do – starting the recording, stopping the playback, erasing the loop, and more – and it’s much more convenient to have at least two switches to use. Manufacturers are well aware of this, and that’s why the expensive models utilize at least three footswitches. So how exactly does it work then? Well, you still have all the functions in single-switch models, but you’ll have to learn how to tap dance over ’em. For example, to start the recording you will need to just tap the button once; to stop the recording, you need to double-tap it, and to erase the recorded loop, you need to hold the button down. If you’re on a budget, but would like the convenience of extra footswitches, there’s an option to connect external footswitches to some pedals, so keep your eyes peeled for those. Loop length might seem like a big deal, but it’s actually not. The thing is – most pedals offer more than enough recording time. When you thing about it, the majority of players will hardly need more than one minute of recording time to lay down the track to loop, and even the most affordable stomp-boxes often offer around 10 minutes of recording time. Many loop pedals don’t have internal storage and discard the loops as soon as they are turned off or another loop is added. But if you want to be able to remember the loops you laid down for future use, you will want to consider getting pedals with internal storage. Some products have a certain amount of built-in space, while more advanced models even feature an option to insert an external SDHC card and store the goods there. When it comes to output, stereo outputs allow you to run the pedal through a stereo rig, or through separate amps. As far as stereo inputs go, having two In jacks allows you to conduct some pretty cool experiments. For example, you can plug in a microphone to your second input and use it to add various percussive instruments to your loop. You can also add vocals or pretty much anything that can be recorded via a microphone. Well, to be honest – no, not really. Not that there’s not a chance you’ll like this stuff, but the majority of these effects gets discarded as gimmicky in our book. What we mean by loop effects is stuff like the “1/2 Speed” feature, or the “Lo-Fi Filter,” or “Reverse” option. For example, the “Reverse” button takes the loop you recorded and plays it backwards, which might sound cool, but the practice has shown that the majority of players use this feature a few times when they buy the pedal because it’s fun, but as soon as they start performing regularly and get accustomed to the device, they pretty much never touch that button again. A frequent question among musicians is, “Can I use a loop pedal in the studio?” Well, technically you can, but it is kinda pointless. The main thing about the looper is to allow you to create a backing rhythm section or even a few melodic lead lines to support you while performing on your own. In studio environment, it’s pretty simple to record as many backing tracks as you like, but that becomes an entirely different story during gigs. Therefore, the best way to use these bad boys is during shows or while busking on your own. Many street performers heavily rely on loopers with exceptional results, so keep that in mind as well. Additionally, there’s more to loopers than just live performance, as they stand out as one of the top tools for beginner musicians to practice their chops on. You can use a loop pedal to practice guitar solos by recording rhythm parts to spin around until you nail the stuff. If your pedal has the ability to import audio files, you can also take the song you like and dissect it through pitch- and tempo-changing features. They also say that nothing gets one’s creative juices flowing like a loop pedal, but we’ll leave that up to you to discover. Yes, of course they do. For example, Mr. Ed Sheeran is known for rocking a Boss looper during shows, and so did the mighty late great Les Paul. Other notable loop wielders include Robert Fripp of King Crimson, U2’s The Edge, jazz titan Pat Metheny, Queen’s Brian May, Mal Webb, Reggie Watts, Gavin Castleton, and many, many more. The answer to this question heavily depends on how much do you plan to use the looper during your performance. If you’re after a decent one-switch looper, $70 to $80 will suffice. However, if you really want the killer goods, a versatile beast with a variety of functions to turn you into a one-man army, a figure of $500 can be easily reached. Not really, loopers operate as standard pedals and require almost zero additional investments. You will of course need a standard power adapter or 9V batteries to power them – and those are commonly not included in the price – plus a pair of cables to connect the device with your guitar and amp or recording tool, but that’s about it. If you get past the number of two or three pedals in your collection, we recommend getting a pedalboard, but that’s another matter and something you should consult our list of Best Guitar Pedalboards for. We have to point out that loopers are intricate pedals with advanced electronics that are best not tinkered with and best purchased new. We’re not saying that you can’t get a top deal in the second-hand market, but we are definitely pointing out that you should be extra careful if you decide to delve into that realm. If you’re uncertain about your skills to estimate the functionality of a used guitar looper, at least bring along someone who can. And we have thus reached the end of our loop odyssey! We hope that you have enjoyed the ride, make sure to stay tuned for best deals on the web. The final step now is to jot down your personal needs, preferences and available spending budget, single out your own best guitar looper and treat yourself with one of these bad boys as early as today. Good stuff! was thinking of getting a looper….so great informative review and no-nonsense advice. Really appreciated. I read you said having stereo inputs I could plug a mic and I have a couple questions if you don’t mind! 1) Of course I’d be using a dynamic mic so… Do I need a preamp or a mixer to add it to the mix? 2) Will I have two different output signals, for each channel? Or a “mixed” signal? I’m really digging the RC-1 for the price and because I don’t really need the saving options. I read it has 1 stereo and 1 mono inputs so… That’ll do, right? I will reaaally appreciate your help in the matter as Im kind of confused! Les Paul used prerecorded loops when performing – the “Les Paulveriser”. His performance style made it seem as if he was catching loops on the fly, however it was all pre-recorded (he’d play it live and then switch in the prerecorded version of that lick, then move on to the next piece. 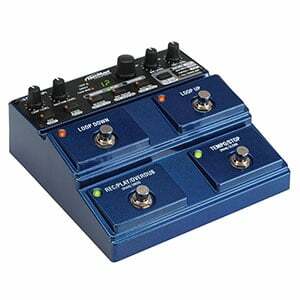 I found it fascinating to watch and did give the impression of using a looper pedal. Given he was doing this in the late 60s, he’d had to have been using Marty’s DeLorean as well to achieve this. By any chance have you had a look at the Nux loop core deluxe pedal? And if so how does it rate against the older model and the other brands? My daughter has been th8nking about a looper pedals for a while now and is considering the deluxe as an option. Any advice would be appreciated. 1. The lack of a quantise function. 2. The fact that the 2 loops need to b e the same length. I often just lay down a beat using my guitar, and then record the chords just before I play a solo. But unless the loop is the same length as the chords in the solo, I am stuffed. If a chord progression under a solo is say 1 minute long, then that’s how long I need to record the beat for when starting the song. This just doesn’t work in a love situation. I wish there was an alternative. Thanks for the very helpful tips here to help make up my mind on loopers!! No Boomerang? No Pigtronix Infinity? I’m going loopy. Sol o. Thx for this inspiring article. I have been using the Ditto X2 and hold it in high regard. It’s got a good blend of simplicity, functionality, good sound quality and robustness/durability. It’s built like a tank. As the author said, the half speed and reverse are interesting at first but get gimmicky quickly. What I like best is ability to set loop record/playback modes as either …A. Hit the switch to stop recording and instantly go to playback only. Or…N. Hit the switch and be instantly recording a second loop. I find I am not quick enough for that and prefer to have the breathing room of one chorus worth of loop before starting my second overloop. The main complaint I have is that there is only one memory bay. That is…you are working on one loop session. When you start a new song, you abandon the old. Yes you can hook up to computer via USB to save the WAV file…but it’s not convenient or fun to load and DL files every time. And obviously it’s next to impossible to do this live. Big flaw in my mind. Otherwise this is a great looper right in the middle of the pack in terms of capability and features yet still easy to use without taking a course at MIT. It’s equally at home as a practice tool and an on-stage device.